​Click on a photo to see it full-size in a separate window. 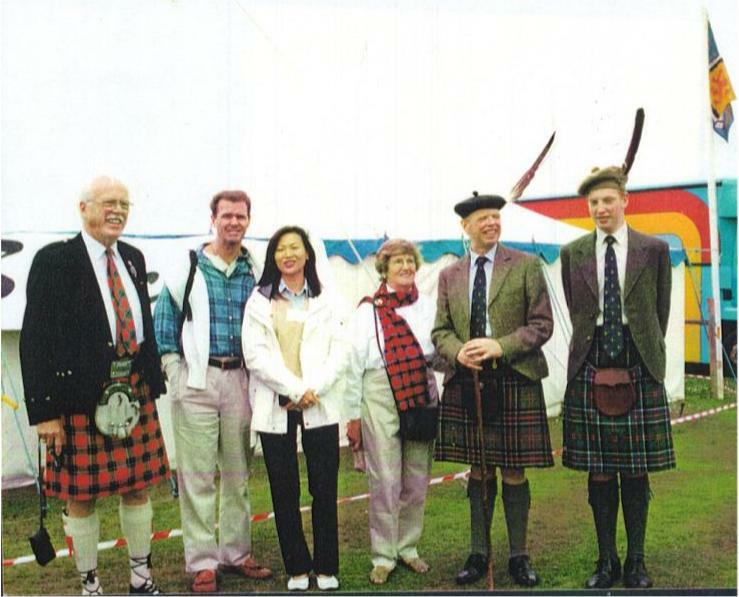 L-R: Donald L Sinclair, Clan Sinclair USA; Viscount Thurso; Lady Margaret Thurso; Rt Hon The Earl of Caithness PC, Chief of Clan Sinclair; and Bill Sinclair and (with the Chief's Pipe Banner) Rory "Gus" Sinclair, Clan Sinclair Association Canada. 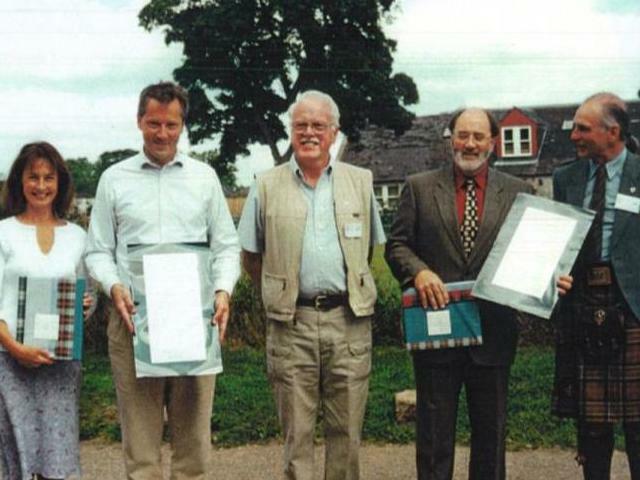 ​L-R: Countess and Earl of Rosslyn; Bill Sinclair, President, Clan Sinclair Association Canada; Stuart Beattie, Rosslyn Chapel; Rory Sinclair, Canada. 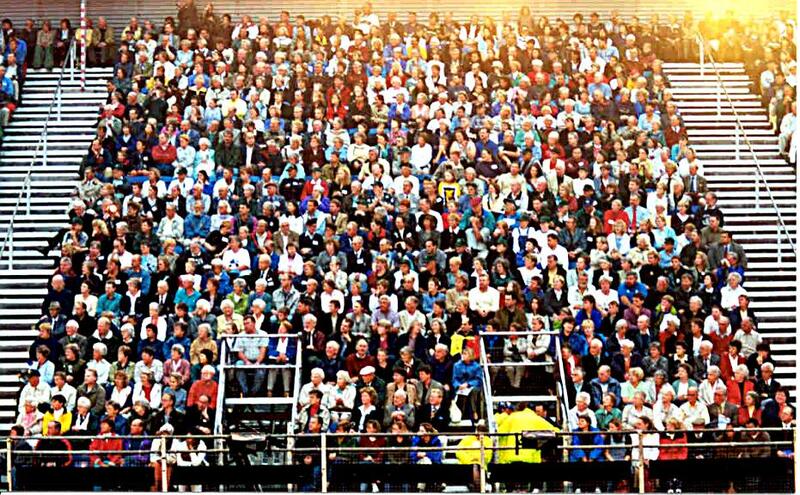 The Chief's journal of the 2000 Sinclair Gathering was published in Roslin O Roslin, Autumn 2000 and Winter 2001 (Vol 3 No 21 and 22). Each link below opens a new window. 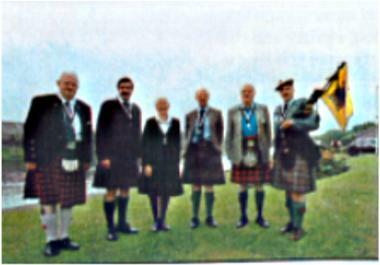 L-R: Bill Sinclair, his son Rob, Rob's wife Cynthia, Bill's wife Jean, the Chief and his son Lord Berriedale. 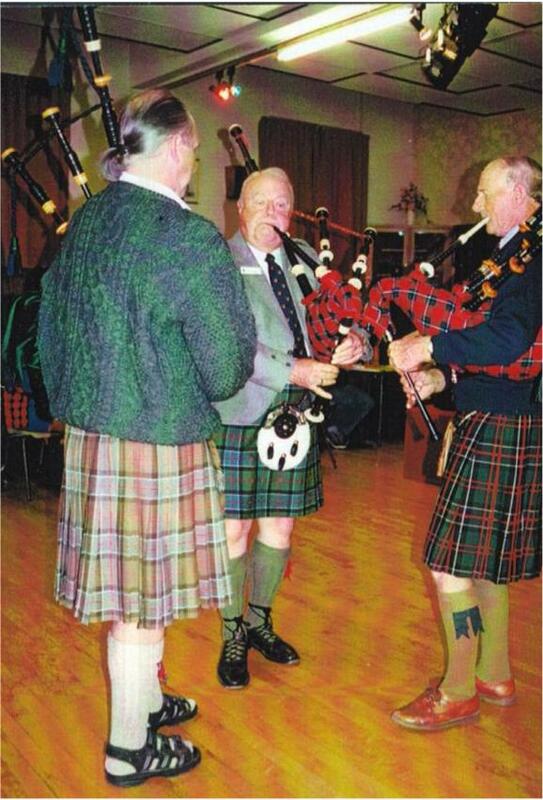 L-R: Rory "Gus" Sinclair (Canada), David Sinclair Bouschor (USA), and John MacIntyre (Australia). The Clan Sinclair Group at the Royal Tribute to the Queen Mother on her 100th Birthday, Edinburgh Castle.